It’s not Hanukkah without loads of fried potatoes. For nearly 200 years, the latke has been one of the edible symbols of the holiday. But even great traditions need some new life breathed into them now and again. Here, six awesome latke dishes created by chefs and bloggers. New York City’s Sticky’s Finger Joint does one thing, and they do it well: chicken fingers. This year, they’re adding something for the holidays by using latke batter to coat their poultry and frying it up crispy for their Latka Fingers. 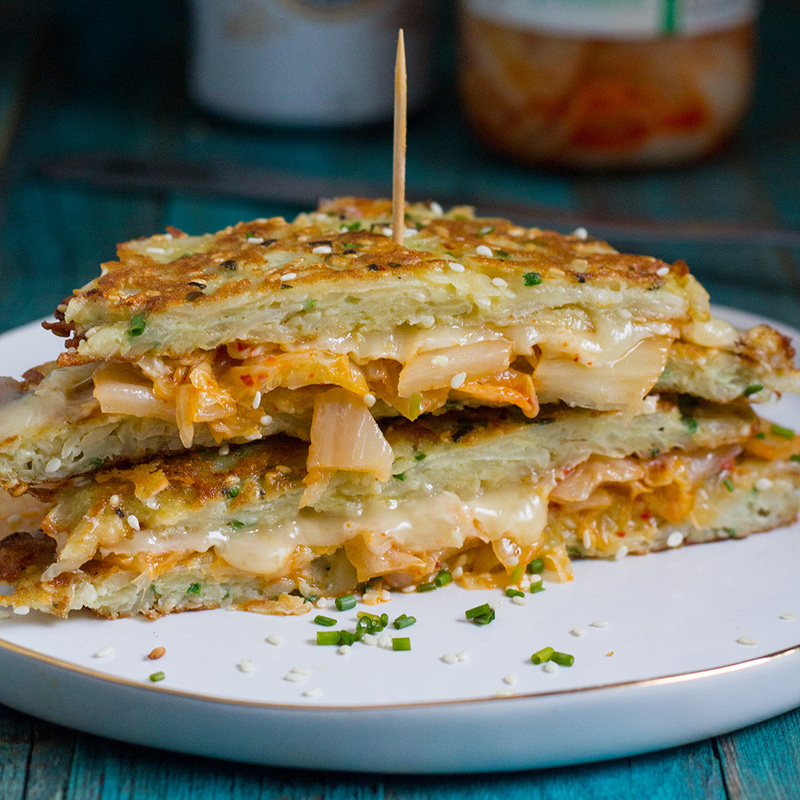 A great and simple idea from blogger Melinda Strauss: fried potatoes and melted cheese. Sounds like a dream to us. Molly Yeh has come up with a genius way to reuse her latke batter to make a pie crust like you’ve never had before. The East Village’s preeminent Ukrainian diner celebrated its sixtieth birthday this year. They have a reputation for serving every kind of perogi you could possibly imagine, but during brunch on the weekends you can get your eggs Benedict served up on latkes—with smoked salmon, of course. Kimchi tacos are so last year. Amy Kritzer from What Jew Wanna Eat is getting rid of the tortillas entirely and replacing them with potato pancakes. A cross between latkes and that other holiday classic, the jelly doughnut, Hadas Margulies calls her Sufganiyatka a happy Hanukkah mistake.